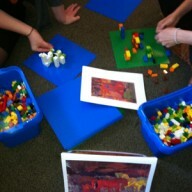 Phillips staff use images from Per Kirkeby’s exhibition to inspire Lego sculptures. Did you know that LEGO is an abbreviation of two Danish words–“leg godt”–meaning “play well”? Neither did I! But I took this inspiring etymology to heart when developing a Lego challenge for the upcoming January 3 Arctic Expedition Phillips after 5. 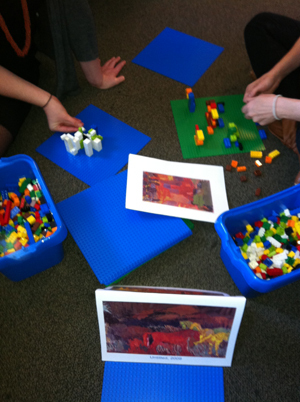 Inspired by Danish artist Per Kirkeby’s layered colorful abstractions, Phillips staff built our own Lego sculptures. 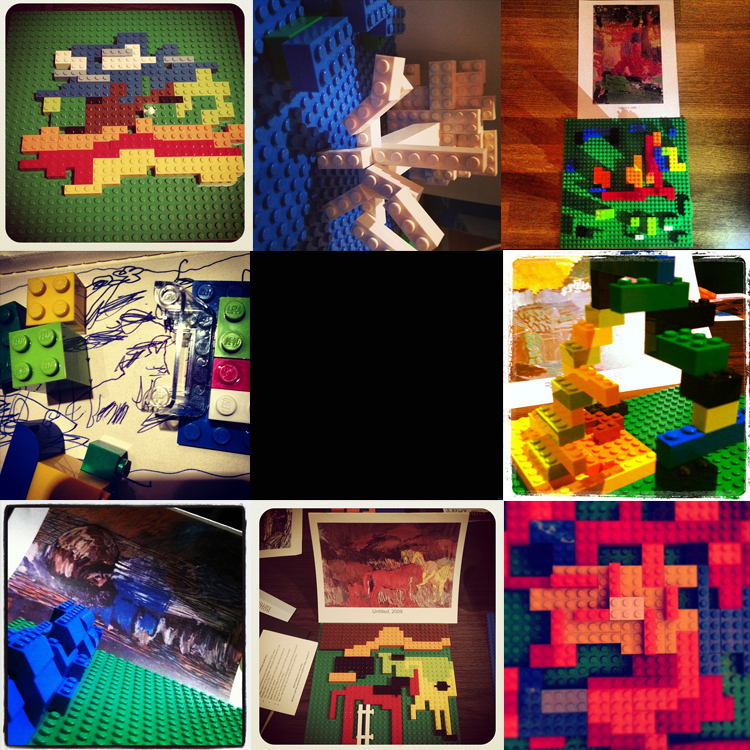 Like kids on Christmas morning, we spread out on my office floor with focused attention to come up with our own Lego creations and Instagram them. On January 3, you have a chance to “play well,” and win a host of prizes! Visit the museum during Phillips after 5 (5–8:30 pm; be sure to make a reservation) and peruse the Per Kirkeby: Paintings and Sculpture exhibition for inspiration. 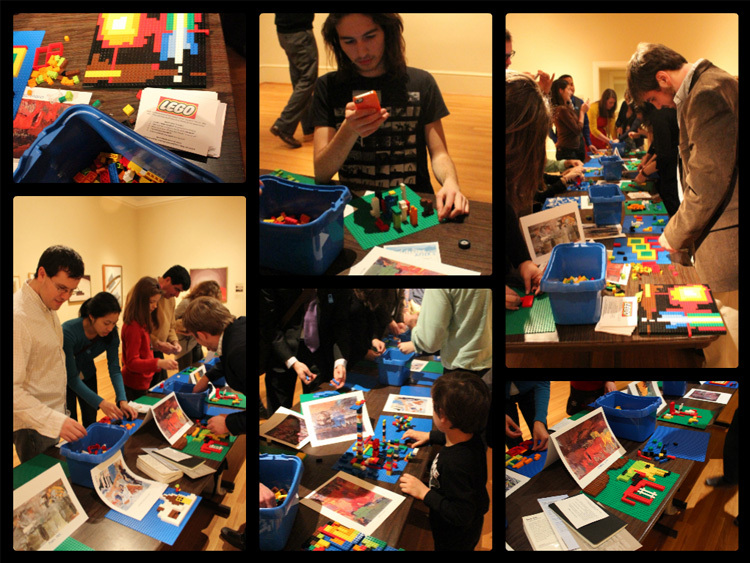 Then stop by the Lego tables, build your own sculpture, and share it on Instagram with the title of your choice and #PhillipsPlaysWell. You’ll be entered to win great prizes, including a Phillips Contemporaries membership, tickets to The Kennedy Center’s Nordic Cool festival opening concert, a one-year Washington Area Bicyclist Association (WABA) membership, and more. Follow us on Instagram (@phillipscollection) for some pre-event inspiration.